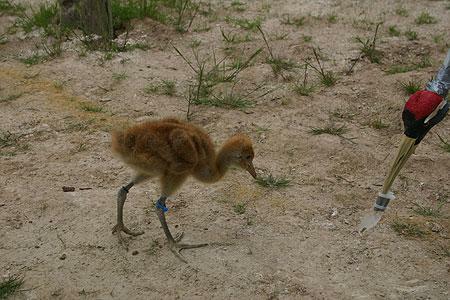 Summer 2010: Squidgy is the smallest of this year's release group and was the lowest ranking and most timid bird throughout crane school. She required a lot of TLC as she was growing up and became the favourite of the project's vet - Michelle, who nick-named her on account of her squidgy poo’s! Squidgy is recently doing much better, having put on a lot of weight and integrated into the group, and has become one of the gang in Somerset, although she is and always will be visibly smaller than all of the others. Squidgy is the Vince's sister. September 2010: Squidgy can often be found hanging out beside Minnie's close cohort along with Chris and Ruby. She always seems hungry and has spent longer beneath the feeders than some of the others - perhaps she is still 'catching up' or is just a hungry girl! October 2010: Squidgy is doing well and has become a lot stronger recently, as she was always a bit smaller than everyone else. She has been keeping up with all the long flights and is often seen exploring new areas with smaller groups of birds away from the main group. However, she is never too far from the safety of the large group. November 2010: In recent weeks the cranes have all joined forces with Clarence’s group and are now usually moving as a group of 20. They have found new fields to explore and are often found foraging on maize stubbles. January 2011: Squidgy has been part of the overwintering flock that formed towards the end of November, which has remained a tight-knit group throughout the coldest December on record. The flock is still a single unit and has been most recently feeding around the Aller Moor area. March 2011: Although a small bird and when young somewhat sickly, Squidgy has made it through the hardest winter in living memory. 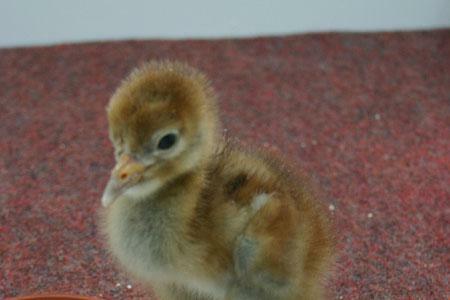 September 2011: Squidgy is now one of the most confident and inquisitive cranes of the 2010 cohort. 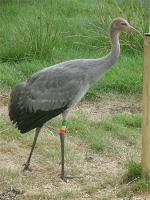 She was one of the first birds to approach the younger 2011 birds, and the costumed crane 'parents'. Like most of the older birds, she also now has most of her adult plumage and although small, she is one of the prettiest cranes in Somerset. March 2012: Squidgy, along with Twinkle and the wild, un-ringed bird went for a bit of a wander in mid March and disappeared for five days. Amazingly we have received a photo and positive sighting of her in Covehithe, Suffolk along with an un-ringed bird - but no sign of Twinkle... who perhaps was elsewhere! April 2013: Squidgy does not appear to be paired with any particular bird at present. July 2013: Squidgy underwent a full wing feather moult in June in Somerset, and became rather elusive for a while. He was seen flying again though and cruising the moors, looking fine, and we all breathed a sigh of relief! January 2014: Squidgy remained on the Somerset Levels and Moors all winter, in the company of the main flock. She does not appear to have a particularly strong pair bond with any particular bird but hopefully things will change during the Spring. July 2014: Squidgy didn’t seem to pair up during the early part of the Spring, and was seen with small group of younger birds on Wetmoor in mid March. She was then seen at Slimbridge on 8th April along with a group of other 2010, 2011 and 2012 birds. 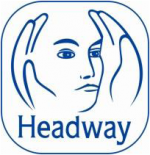 She was identified flying down the Severn on 10th April in the company of another – seen near Oldbury, and it is likely that she was one of the group of three birds at the Gwent Levels during mid April 2014. She went missing for a while during May and June but was then seen again at Slimbridge in early July where she currently remains. July 2015: Squidgy remained at WWT Slimbridge for the autumn and most of the winter 2014/15, but re-appeared on the Somerset Levels and Moors in February 2015 for a month or so, before being seen back at Slimbridge again in early Spring. She became a bit elusive during the breeding season and her whereabouts are currently unknown. We are all hoping she will turn up soon! February 2016: Squidgy turned up again at Slimbridge in late August -(perhaps she was moutling - or off somewhere else...?) and remained there throughout the autumn and winter of 2015/16. We could see something interesting this coming Spring! 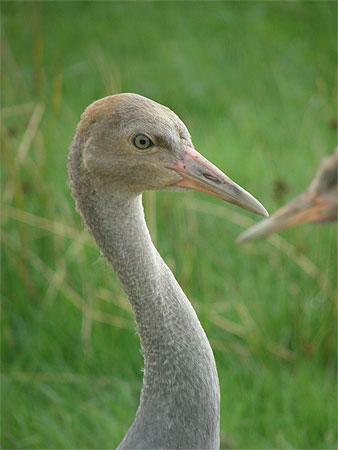 July 16: Spent the Spring at Slimbridge, paired up with Billy, set up territory in 100 acre area and built a nest which was abandoned without laying eggs. No further attempts were madeNov 2017: Spent the Spring at Slimbridge but was not paired with another bird after Billy went missing. She remains at Slimbridge. Sept 18: Remained at WWT Slimbridge but did not did not make a breeding attempt. Observed in late August with WWT Slimbridge flock.